NOOOOOOOOOOOO! The developers want to prep the next build of the anticipated MMO before running another weekend-long test. The dark inset eyes stare at you. "You want this, don't you?" 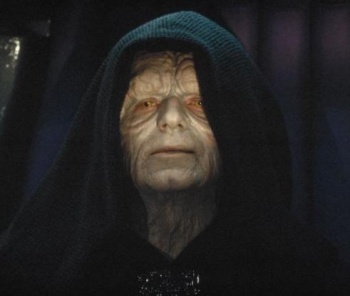 the Emperor says as he sees you staring intently at ... the beta invite email for The Old Republic. Gamers and Star Wars fans have been clamoring to play the first MMO made by RPG-experts BioWare ever since it was announced all the way back in 2008. Even those of you who were lucky to be invited into the beta test are now forced to wait a little longer because BioWare has decided to forego testing this weekend. The team has used brief testing periods in the past to test load on the servers before taking the game down on Monday, but BioWare's community managers announced that there will be no such test this weekend which would have invited players from the EU for the first time. Beta-testing for all players already in the test is also disabled this weekend. At least the reason is a good one. A brand new build of the game is rolling out very soon and it would be quite unfair to invite players to download 27 gigs worth of The Old Republic files before asking to do so again in a week's time. Players "will also have their characters erased and have to start afresh," said BioWare's EU community manager Chris Collins. "This is a relatively large amount to download in such a short space of time and not an experience we want new testers to be exposed to." The other reason is that this new build will include localized versions for French and German players. "Those of you that speak French and German will have the chance to play the game in those languages, for the first time ever. We're extremely excited to be able to offer this to our players and as such, we're keen to get a lot of feedback from European testers in particular." The team hopes to get internal testing complete before opening the game to a bigger subset of EU beta-testers. Collins is not sure when exactly testing will resume, but he is quite aware that people are anxious to play The Old Republic. "I can feel the hate flowing through you!"